Registered Communication is pleased to announce the launch of a valuable new feature on our Registered Email service. From 1 January 2018, we now record when a recipient opens a Registered Email for the first time and notify the sender that the content has been accessed in the form of a certificate addendum. 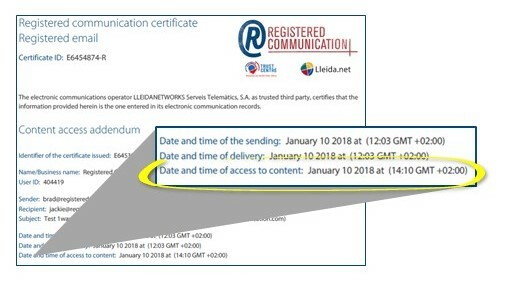 This is a valuable addendum to the original certificate that is currently issued with the details of the sender and recipient, as well as the related date and time stamps associated with sending and delivering the email. The original Certificate ID is referenced at the top of the certificate addendum. The date and time that the Registered Email was opened is highlighted above in yellow. 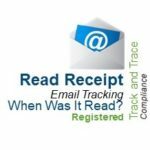 Information pertaining to sending and receiving the Registered Email which is provided in the original certificate is also summarised in the addendum.